America’s sons and daughters of liberty are taking twitter by storm. They are the modern day equivalent of Minute Men or Daughters of Liberty pushing back against the fake news networks, the leftist-socialist propaganda agenda and the 24/7 President Trump resistance movement. While @twitter does their best to shadow ban or limit their messaging, these patriots will not be silenced. These patriots stand proudly with @potus Trump Make America Great Again movement, #MAGA. The trailblazing duo of @DiamondandSilk were early adopters of President Trump as a pair of his most outspoken and loyal supporters. Their tag team approach of bringing reality to liberals with a little “chit chat” is direct, humorous and on point. Bringing national security expertise and street smarts, former secret service agent and NYPD officer @dbongino deals directly and forcefully with liberal lies and fake news on all forums including his podcast. Dan is eloquent, quick witted and a regular on @foxnews burning the midnight oil ready to joist a liberal elite off their horse at a moment’s notice. @RealJamesWoods is our favorite Hollywood conservative with his take no prisoners approach to commentary. Quick witted and armed with an MIT education, foolish fake fanciful liberals think they can challenge him or refute his critiques. Wrong! James will quickly undress you with your pants down around your ankles with your shoes tied together. Brilliant, quick witted and tough, the @hodgetwins don’t mess around! They go deep and swing for the fences. These two “Comedians, Black Conservatives” are all about calling out the loons on the left with humor and wit. Make America Great Again! @The_Smirker is our “Common Sense Conservative and Psychiatrist for Joe Scarborough” and takes on all lying Liberal & Never Trumpers for morning coffee and evening beers. He fights and wins! Really have to appreciate the selfless service counseling America’s #1 clown @JoeNBC. Big victory coming November 6th! #Redwave coming with Twitter Patriots armed with facts, principles and love of country. @potus just wins and so do the Twitter Patriots! Are these Union or Confederate Sabers? 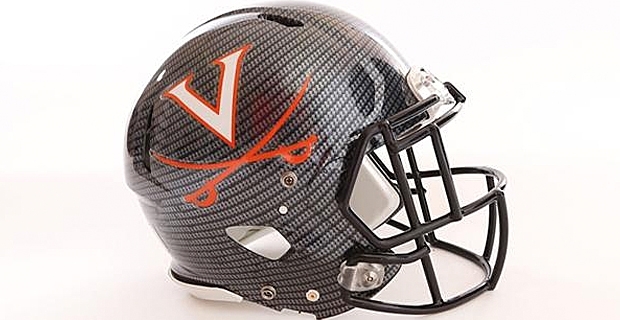 The UVA football helmet as well as other UVA sports team logos have military sabres on them that appear to be from the civil war era. Are these union or confederate sabres? 2. Will this be the next outcry? 3. Where does this end? 4. Can there be Cavaliers without swords? 5. Would the Virginia state bird or flower be a better symbol than swords? Author Guardian 6Posted on August 24, 2017 August 24, 2017 Categories UncategorizedTags featured, University of Virginia1 Comment on Are these Union or Confederate Sabers? In basic training, BOLO was a favorite term among Drill Sergeants for recruits among other words or terms that were not very pleasant. BOLO was actually one of the kinder words one could be called by a Drill Sergeant for failure. This was back in an era before sensitivity training, Consideration of Others Program (COOP) training or before present day college Safe Spaces. The 53rd Regiment would like to hear from you about your glory days. Be heard! 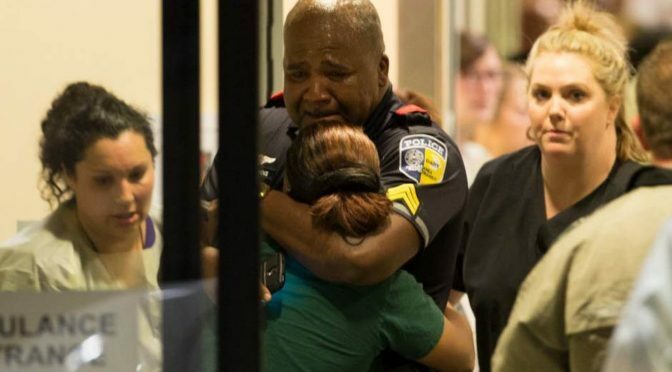 (Dateline 8 July 2016) The Ferguson Effect in combination with the poor command climate established by this administration and President Barack Obama has created a toxic environment where police officers are under attack by fellow Americans. How did this happen? How far have we fallen? 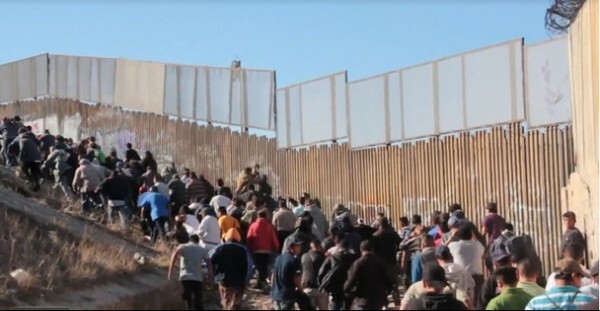 This administration once again focuses on their agenda and not the lives of our citizens. The Rule of Law is under assault in every corner of America. Those who protect us day-in-and-day-out are under attack and instead of this president having their back, he has questioned and accused police departments of institutional racism from isolated incidents. This week Secretary Clinton was somehow not indicted for breaking numerous laws, coincidence of a Tarmac meeting between the DoJ Loretta Lynch and President Bill Clinton. The elite are protected and the average citizen would have already been in jail if we did what Clinton did. Americans are saddened, bewildered and shocked at what is happening to our country. There is no respite from the liberal-progressive assault on tradional values, respect for law and order and support for those wearing blue. Pray for our fallen, pray for our country and pray that America finds her way with the silent majority restoring our way of life. (Dateline April 2016) Arguably the left and the Democratic Party have always excelled at organizing the masses for various causes, some real and many manufactured. During the Obama years, manufactured movements (#MobRule) have been put on hyper drive and the go-to methodology for fabricating issues and enacting policies to control the masses and bring forth more regulation and taxes on businesses. What many people on the left fail to understand, or they are perfectly fine with, is that our government is gradually removing individual freedoms and replacing our freedoms with dictates, oppressive regulations and surveillance instruments to monitor our adherence. Let’s look at a few examples. The governors of New York and California have recently passed laws to enact a mandatory $15 Minimum Wage law. So much for free market capitalism, supply and demand practices and Adam Smith’s invisible hand. These type laws are not only un-American, they are a reflection of how far a once vibrant US economy has fallen in the last two decades, especially during the Obama years. We are now replacing skilled and manufacturing jobs with $15 dollar fast food restaurant jobs and other entry-level jobs. 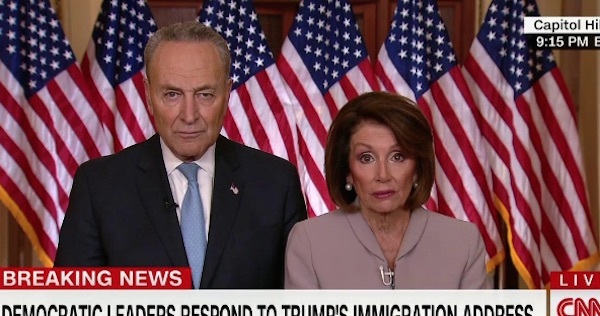 This is the best the left and Democrats can offer? Think about it, instead of creating the economic conditions for businesses to thrive and prosper through lower regulation and lower taxes, they will inevitably chase employers away with these job-killing policies. These so called “living wage” laws define a lack of understanding in basic economic principles and really serve the Lefts own agenda of manufacturing causes for low information masses to help their own re-election campaigns and make payouts to their special interests. The Occupy Wall Street movement was another convenient movement for the left and the Democratic Party to manipulate the masses and spew their anti-capitalism message to the low information voters and of course blame American big business, banks and Wall Street for all of America’s woes. When American states and cities led by Democratic Governors and Mayors are imploding with excessive debt, poor services and corruption, America as a whole is left with this carnage while the Demons blame others and assign scapegoats. They fail to ever think about holding themselves accountable for misappropriation of taxpayer funding, poor decision making or failure to maintain and live within a budget. This would be asking too much. Blame the 1%ers, the doers, the job creators; they are to blame for what is wrong with America. It was also very convenient how the Occupy Wall Street Movement coincided with President Obama’s re-election campaign beginning in November 2011. Hmmm. I guess all the 99%er problems must be solved now because Occupy Wall Street is no more and not in the news, they have moved on to the next movement, #BlackLivesMatter. Always a new cause to create, manufacture and give the willing media accomplices something to run with. It doesn’t matter that the Police Officer that shot Michael Brown in self defense, whom was thoroughly investigated and found innocent by several investigations including the FBI, Department of Justice, and a local trial. What matters is the political and media narrative about Black Lives Matter, as if they do not (insulting by the race baiting crowd!). A false narrative that continues to be embraced today drove the riots initiated by mob rule in Ferguson, Missouri. Fact — the white police officer has been found innocent of any wrong doing against the black youth, Michael Brown who physically attacked him. From this false narrative, we have #BlackLivesMatter. Well, the busloads of protesters now being transported from city to city for various causes to include #BlackLivesMatter, I trust that Democratic Party backers are paying them the new $15 minimum wage standard for various manufactured protests? I would hope so as it is difficult to generate false passion about a plurality of causes. However, they have mastered the art of disruption and fabricating causes for the media circus. My challenge to #BlackLivesMatter, park your asses in Chicago and demand safety and increased police presence for citizen safety. To date for 2016, 110 blacks have been gunned down and murdered in the city of Chicago alone. This is unacceptable! Stop being political stooges for the Democratic Party and put your energy and time into making a real difference. This is insane and outrageous. Every American deserves to live in a crime free environment where safety and security is paramount. Demand it, protest for it, lead it, and do something about it! #MobRule needs to end! It is high, it is far, it is outta here! HR # 1 for Bart after 20+ years in MLB!!! SAN DIEGO — Leave it to the fan who caught the Bartolo Colon home-run ball to put it all in perspective. Zurn knows athletes. He is the baseball coach at La Mirada High School in Southern California, and best of all for Colon and the Mets, he is a Mets fan. Zurn happily gave the ball to those officials, who sent it to the Mets’ clubhouse and Colon as the game was going on — but not before Zurn got some terrific cell phone shots, including his 5-year-old son, Ryan, with the ball. In that picture, you can see the love of the game. Jimmy and his wife, Sarah, are heading to the Subway Series later this season, so you know the Mets will work out some kind of deal, a package is on the way. Zurn is a David Wright fan, and after the game, the family met the Mets, including Wright. 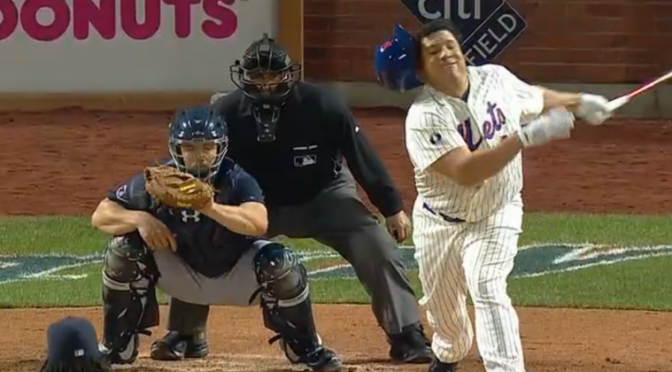 The Amazing Bartolo Colon brings out the best in baseball fans, doesn’t he? At 42, he is a cult hero. It’s only fitting Colon’s second-inning blast over the fence in the left-field corner landed in the seat of a Mets fan who was at the game with his wife and their sons, Ryan and Ben, 3. “My parents are from Buffalo,” Zurn said, explaining how he became a Mets fan. Colon’s shot off a 1-1 fastball from James Shields was a two-run blast and put the Mets ahead 4-0. I have been lucky enough to be in the ballpark for the Kirk Gibson home run, the Joe Carter home run — two World Series classics — the Aaron Boone home run against the Red Sox and now the Colon home run. They all were amazing. This was the most surprising. Colon had gone 246 plate appearances in the majors without a home run. In his 226th career at-bat, he lined a fastball over the fence at Petco Park. Colon gave up a three-run home run to Jon Jay, but no big deal, that only made his home run the game-winning shot. And so it goes. Bart knows excitement. It took him 30.6 seconds to round the bases. When he got to the dugout, the Mets players were up the runway, so Colon arrived at a player-less dugout. Colon is a baseball gift. As he came off the field with two outs in the seventh, twice Colon paused and turned his head to look into that left-field corner. Perhaps he wanted to get one more look at the spot where his home run landed, perhaps he was just checking the scoreboard, but the round mound of baseball was walking off with a lead after hitting a home run for the first time in his career. Yoenis Cespedes, Colon, Wright and Michael Conforto also homered. “Put them all in the same sentence,” Terry Collins joked of his home-run hitters. It was quite the night for all Mets fans — one Colon and the Zurn family will never forget. ‘Nuf said … #40 goes deep!!! Author Guardian 6Posted on May 8, 2016 May 10, 2016 Categories UncategorizedTags #LGM, Colon Goes Deep, featuredLeave a comment on Bartolo!!! U.S. Navy Petty Officer 1st Class, Charles Keating, was recently Killed in Action in Northern Iraq. It’s on you, Commander in Chief. Our forces on the ground are under manned, under resourced and under appreciated by a White House staff of “leaders” who are incapable of making sound tactical and strategic decisions, because they are clouded by politics. An agenda that has failed miserably and puts politics before troop welfare. 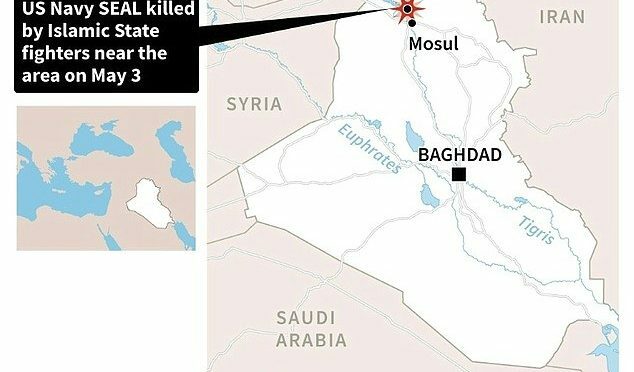 An agenda that dictated a timed and broadcasted troop withdrawal that created this current state of volatility and derailed a decade of progress within Iraq. Our service members are deployed on a garbage advisory mission, that has them “advising” an incompetent and corrupt Iraqi Military. A mission that would have taken years to properly execute, but over inflated numbers on their operational effectiveness were reported by agenda driven White House “leaders” that use talking points as principles of war. Charles Keating is on you, Commander In Chief. You tied the Pentagon’s hands limiting their military options and put US Forces in a situation that was destined for failure; your garbage policies are catastrophically useless to US Forces on the ground. We kicked the enemies asses in 2007 – 2008 that stabilized the country paying the the price, only for Obama to give it all away in 2011 with his dereliction of duty withdrawing all US Forces. Now, it’s lost and those who have paid the ultimate sacrifice … they are on you Mr. Obama. Your failed leadership have endangered US Forces and the United States of America. God help us. Author Guardian 6Posted on May 6, 2016 May 6, 2016 Categories UncategorizedTags featured, isis, navy seal killed iraqLeave a comment on This Is On You!